Hi everyone! 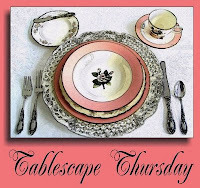 I am again participating in "Tablescape Thursday" over at Between Naps on the Porch, hosted by the lovely and very talented Susan! I was looking for something last minute as I have been working on a "Spode Woodland" table with the four American Horses. I bought those for my girls for Christmas as they love to ride. However, it has been a difficult one for me to visualize, and I realized there was no way I could get it done this afternoon so I started looking around. Hmmm. What to do? Then it came to me. We still have snow...lots of snow. So it dawned on me that it is still winter, and what better for winter than snowmen? So here it is...the kids love these plates and enjoy using them only this time of year. Hope you like it! 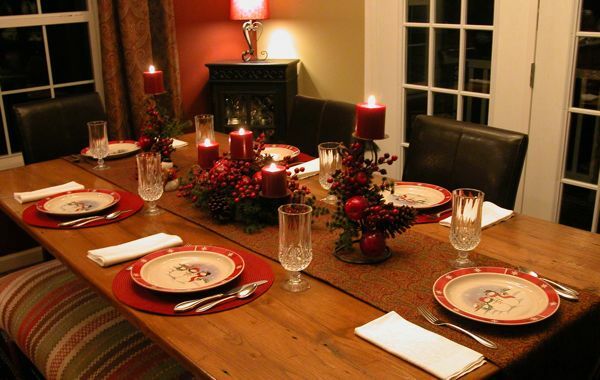 I love to set the table and have family meals with the children. I really want them to learn to make meals special and a time to share with family. The runner is a lovely paisley fabric I found at the fabric store I frequent called "Vertigo." It seemed to tie it all together so nicely, don't you think? I just love these plates! They were $1 at the Dollar Store a few years back. I came across them and knew the kids would love them. Then, I found this S & P that coordinate so well that it looks like they were part of the set! 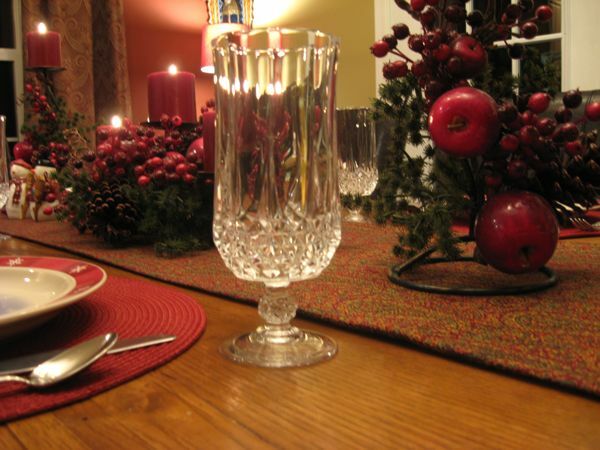 I love these crystal glasses because they are not only pretty but very durable. I just love this, and it's low enough for us to see over and carry on those family conversations! Hi Anita!! Just beautiful! Snow... haven't seen that in a while! Actually when we were going home for Christmas, we stopped at a rest stop in North Carolina and my little girl jumped out and said, "See Mommy! Daddy told you he would bring you to see snow again!!!" She was giddy and just played in it! After living in Michigan for almost 7 years, I do miss seeing the snow just a little bit! Is this the table that your family eats at all the time? Do you leave all your arrangements out? 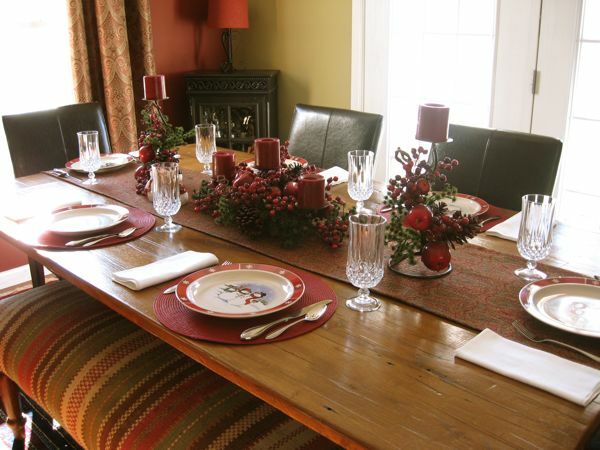 I really want to give this tablescape thing a shot and just figuring out the functionality! Thanks so much! Another winner! So elegant and tasteful. So very pretty. I love snowmen because you can leave them out longer that santa. 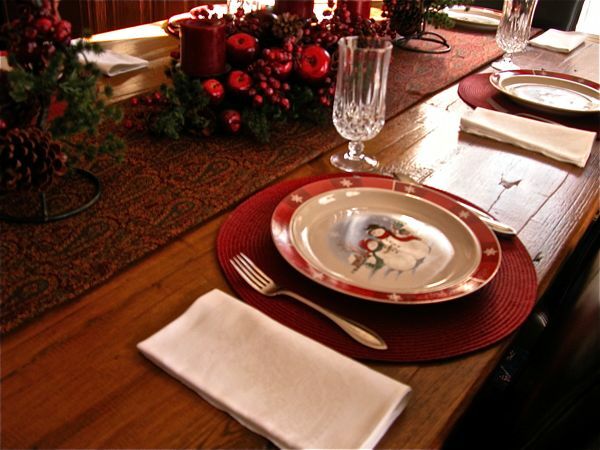 The plates are very cute and great to have a meal with the children but the centerpiece and runner make it more adult. I love the fabric you used for the runner...paisley! So nice. Great last minute table!! Anita, love your snowmen plates...I need to get to the dollar store more often! Very pretty centerpiece. Thanks for sharing. Very pretty table.. I have been trying to dress ours up too when I can. As far as the low lights.. My son likes his mood lighting. I will go downstairs and flip a light on/off and he will say..mom you're breaking the mood.. silly boy. I said before I love the dollar store or cheap dishes.. then if one breaks I don't feel so bad. Love your snowman/woman plates, Anita! 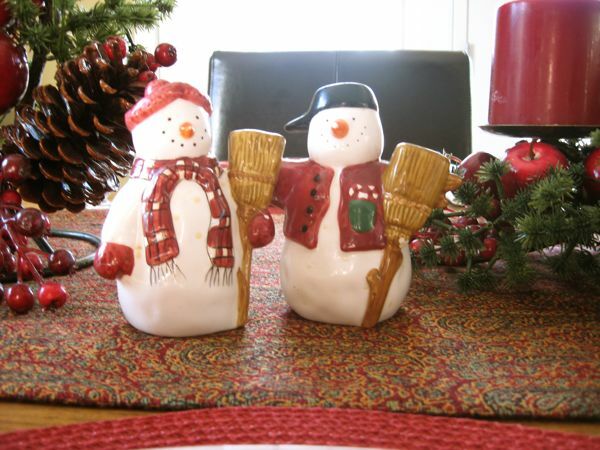 I love snowmen and have a bunch of them I use to display at Christmas. These are wonderful for a casual dinner. 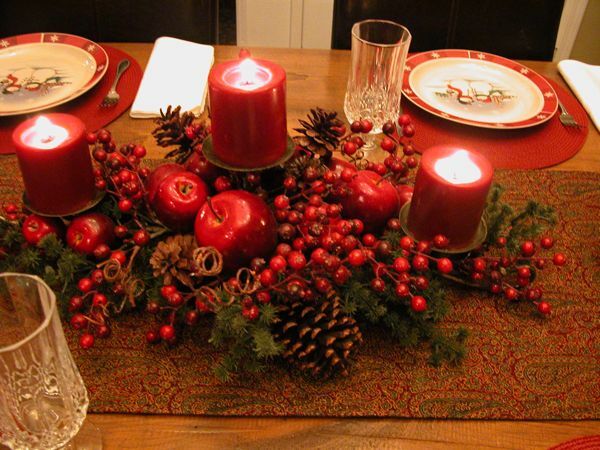 I like your centerpiece; I think the red works through Winter. I love your centerpiece and the candle holders! love love love it! The paisley runner is gorgeous. Great family table..love those plates, they are adorable! Anita, cute and cozy and RED always works for me! Anita, thanks so much for coming to see my table. You are a sweetie! "Vertigo" is a great name for a shop! Sometimes my eyes just dance when there is so much to see. 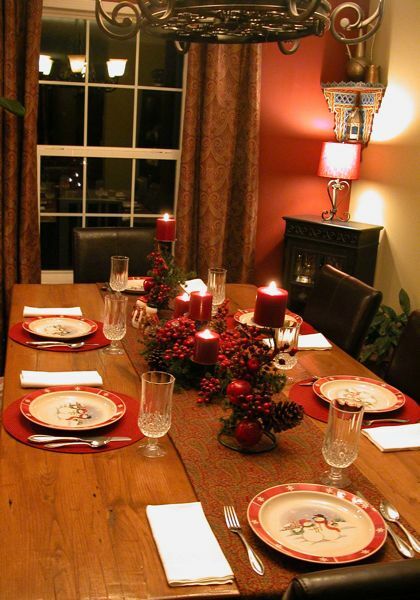 Your table looks very warm & inviting as well as fun. Cute plates, too. Thanks for the sweet birthday wishes! Our Dollar Store didn't have these darling plates, I would have snatched them up in a heart beat. 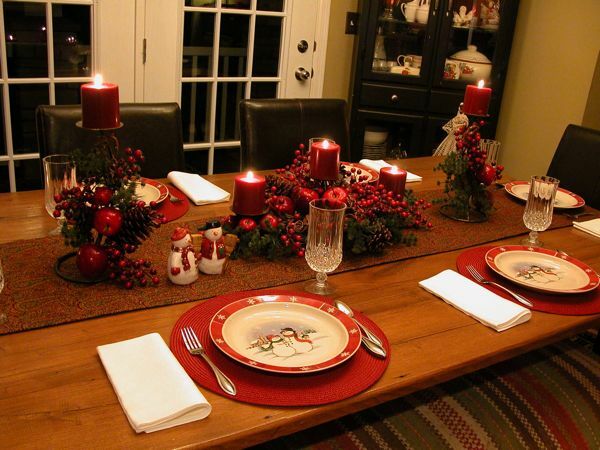 They are adorable.. love your table..
Love your snowy tablescape. I bet your children love those plates. 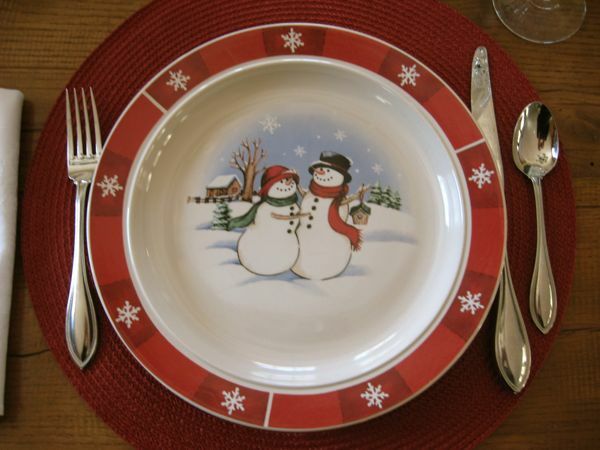 I have some snowmen plates, too from Target a couple of years ago. It is so much fun finding bargain prices on cute dishes. I love it with the bench!! Hi Anita, just checking on you since you haven't blogged in a while. Hope everything is o.k.